Metal components are used in a huge range of day-to-day applications, from smartphones and computers to cars and heavy machinery. Tools, equipment, appliances — and, more broadly speaking, our homes and workplaces — all depend on metal parts. The emergence of metalworking was a pivotal step in the advancement of modern industry, and the field continues to break new boundaries every day. Our increasingly lightweight and responsive digital technologies, for instance, depend on various precision metal parts. Metal stamping machines are used to turn raw sheet metal into finished, three-dimensional parts. Allowing for the production of reliably strong, precise, quick-to-produce, durable, and efficient components, this versatile process is becoming more and more common in today’s manufacturing world. Favored for its overall efficiency and dependability, stamping can be used to create a huge range of metal components. Progressive die stamping takes basic metal stamping technology to a highly detailed level, utilizing multiple work processes to perform different operations on a single part. This type of operation reduces the labor quotient to a negligible amount. Strip or sheet stock is unrolled from a coil and fed through the required manufacturing steps — such as forming, drawing, embossing, notching, punching, cutting, and piercing — resulting in a complex finished part. The high efficiency of this tooling process allows for cost-effective, large runs with very precise tolerances. Modern punches and dies first appeared in a machining guide in 15th-century Germany; during this time, they were used by locksmiths for hinge manufacturing. As technology marched forward, “successive gang cutting” and “follow-on” tooling innovations led to the first progressive stamping die operation, at the dawn of the 20th century. These initial operations were primarily done in-house; electric motor manufacturers and machinists used the progressive stamping process to create components in high quantities in order to meet the ever-growing demand. In the 1950s, Michigan saw the birth of what we now recognize as the first progressive die shop. During this time, engineer Ed Stouten founded the Capitol Engineering Co. to alleviate the shortcoming of the single-hit die manufacturing industry. Within 30 years, Stouten had developed the official manual for progressive die manufacturing, which would come to be referenced by designers, engineers, and managers alike. Stouten also began traveling the country giving educational seminars on the process — changing the face of metalworking forever. At Manor Tool, we’re proud to carry on the metalworking tradition with highly specialized, adaptable, and extremely precise services for customers across diverse industries. We’re committed to constant improvement and innovation in everything we do, and fully embrace the progressive die stamping process to help provide seamless, quality-controlled transitions when projects evolve from short-run tests to high-volume production. 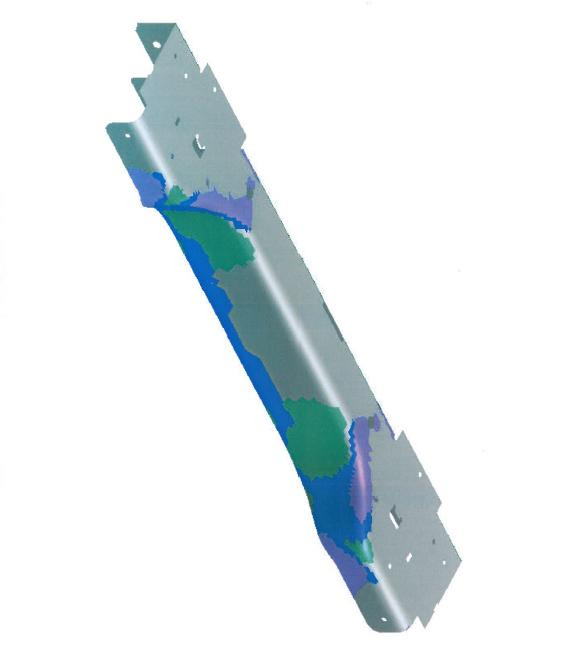 We can work with a range of materials — including aluminum, stainless steel, copper, nickel, and brass — in thicknesses of 0.005 inch to 0.500 inch. 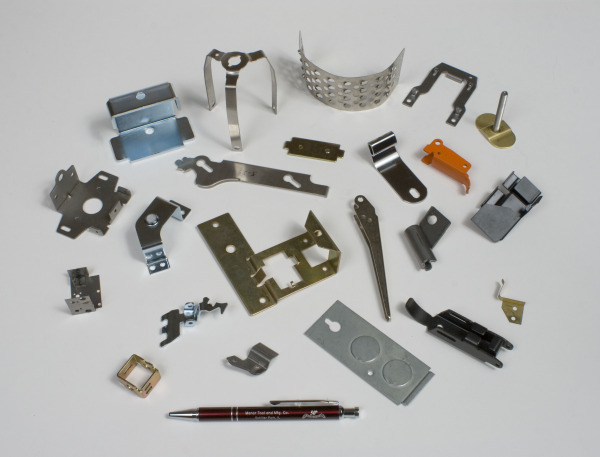 In addition to progressive die stamping, we also offer deep drawn stamping capabilities, as well as custom tooling and fabrication services, manufacturing design and engineering services, and various secondary services. To learn more about our advanced stamping press capabilities or discuss your specific needs with an expert, request a quote today.